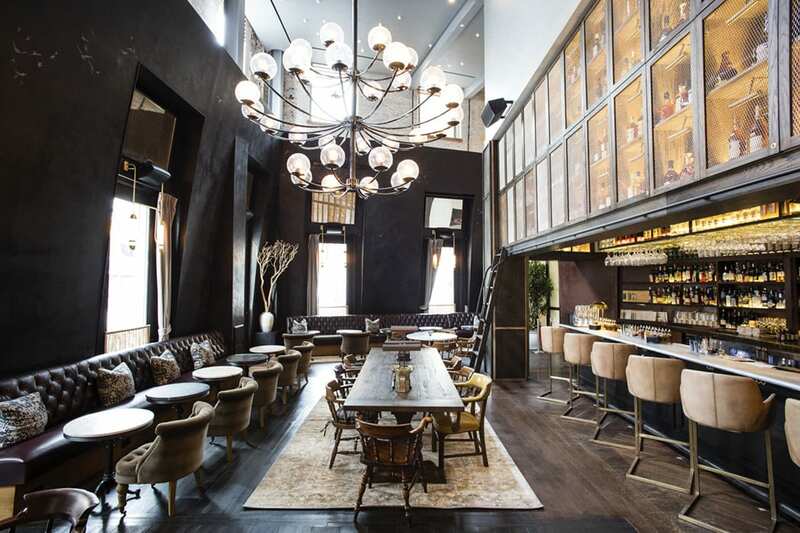 From the team behind Casa Apicii and Bar Fortuna in Greenwich Village, Bowery Road and the adjacent Library of Distilled Spirits opened on the ground floor of the Hyatt Union Square in May. 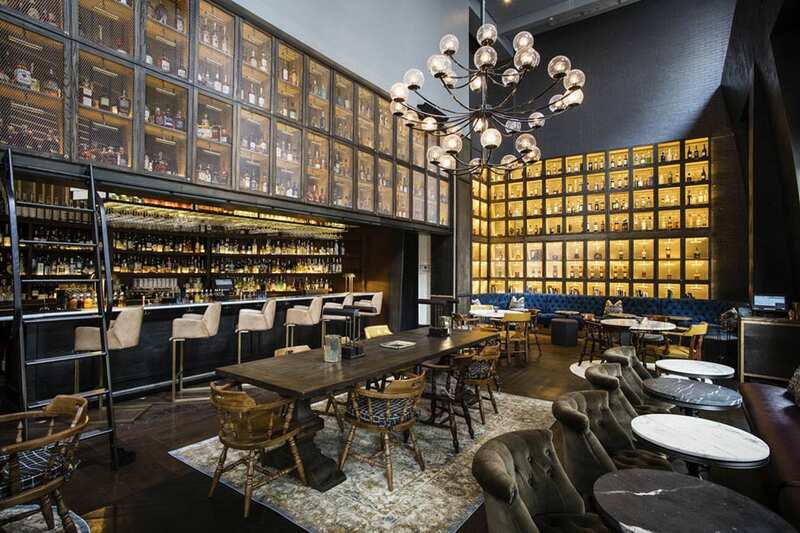 With over 1,000 spirits on the menu, the bar takes an educational approach to cocktails and spirits, complete with a multi-volume encyclopedia for guests who want to learn more about each. 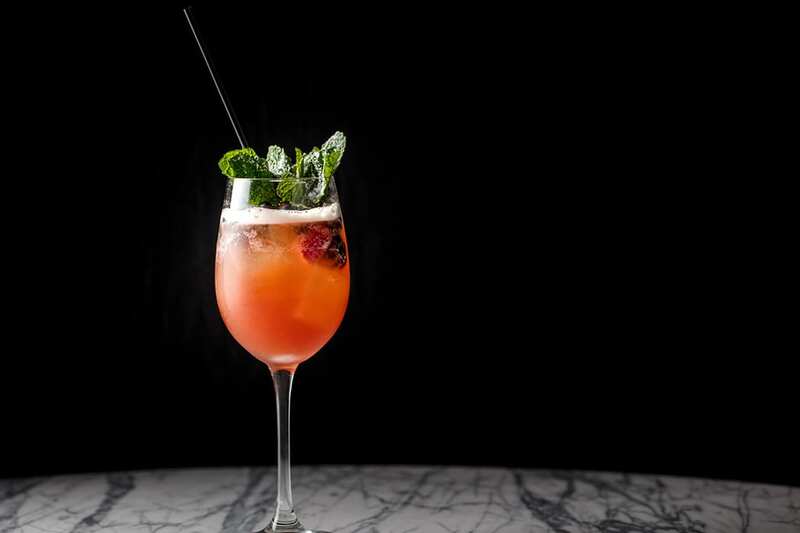 The bar offers 150 classic cocktails and a handful of house recipes, like the Vauvert Swizzle. 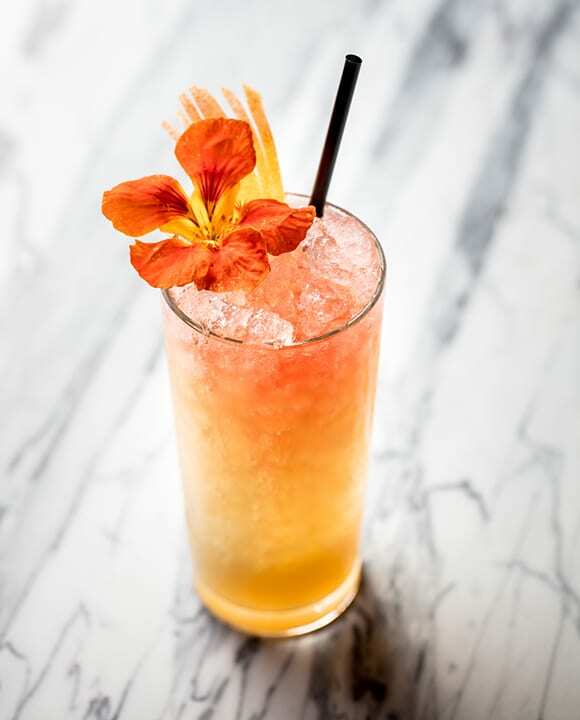 The bright mix of green tea vodka, Chartreuse, lemon and grapefruit juice, honey syrup and orange blossom water is topped with sparkling rosé and a nasturtium flower. 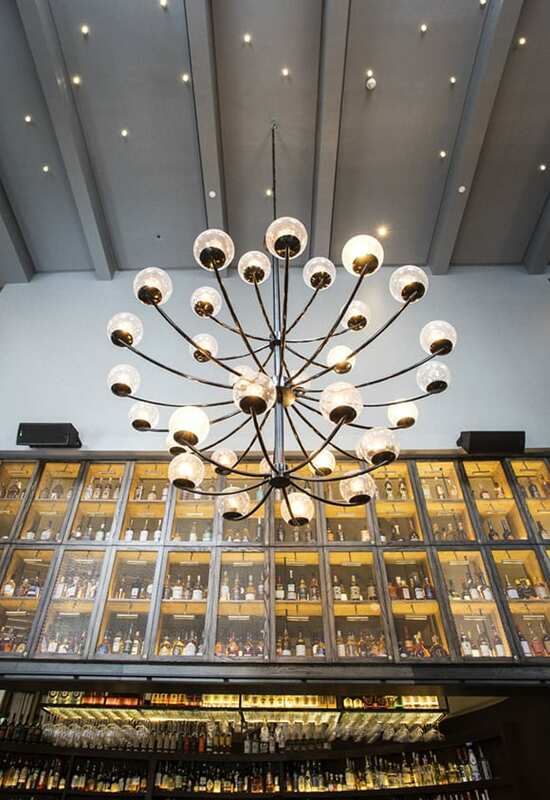 One of the most striking architectural elements is the liquor box canopy design above the bar. Dutch East Design says "it was no small feat to engineer and integrate," but "framing out the bar in this way while lowering the ceiling height, really impacts the bar experience." The Cherry Cobbler features amontadillo sherry, sour cherry, maurin quina and lemon, garnished with mint, cherries and powdered sugar. A large three-tiered chandelier is a centerpiece of the room. The bar is meant to be a place where guests can learn about spirits and cocktails, but also pop in for a casual drink. In the Western Addition cocktail, blanco tequila meets rhubarb, peppercorn, Verjus blanc and sparkling saké. One of the most stunning elements of the space is the 16-by-20-foot floor-to-ceiling library wall, where bottles sit silhouetted in glowing cubbies. 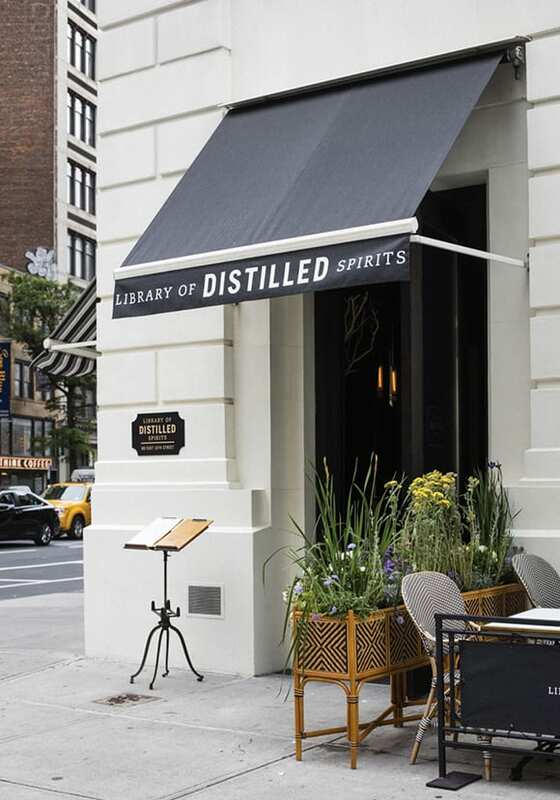 The Library of Distilled Spirits is more than just a shiny new cocktail bar in New York’s Greenwich Village. True to its name, it’s also a resource for spirits and cocktail history. 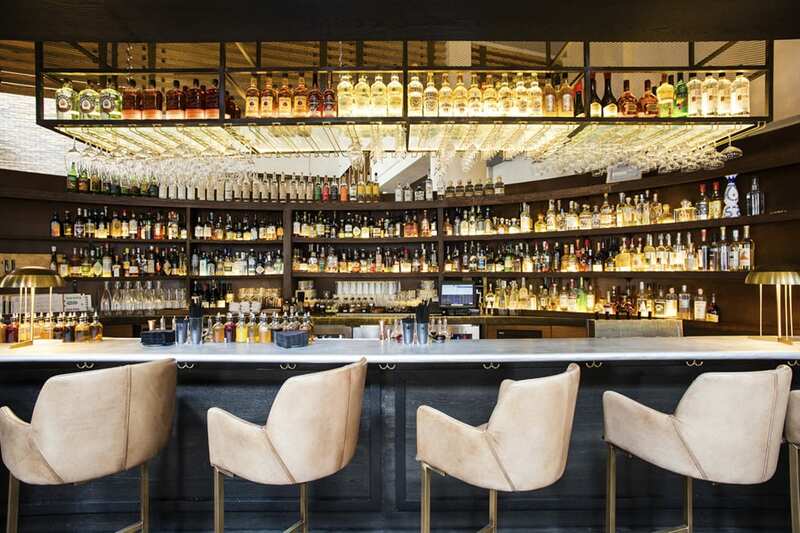 With the mission to “pull the veil back on the massive and confusing world of distilled spirits,” beverage director Kyle Tran says, the bar’s practices and design take inspiration from the great libraries of the world. 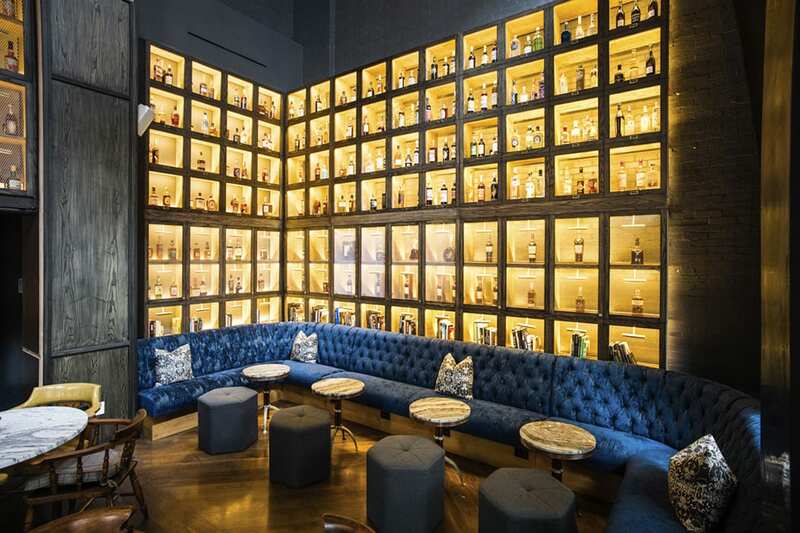 Built in partnership with Dushan Zaric of Employee’s Only, the library boasts more than 1,000 bottles of liquor, stacked behind the bar and in glowing cubbies that make up the parlor’s impressive 16-by-20-foot floor-to-ceiling library wall. With such a staggering inventory, Zaric and Tran (formerly of the Aviary in Chicago) wanted to make the experience welcoming for guests by offering written resources upon arrival. 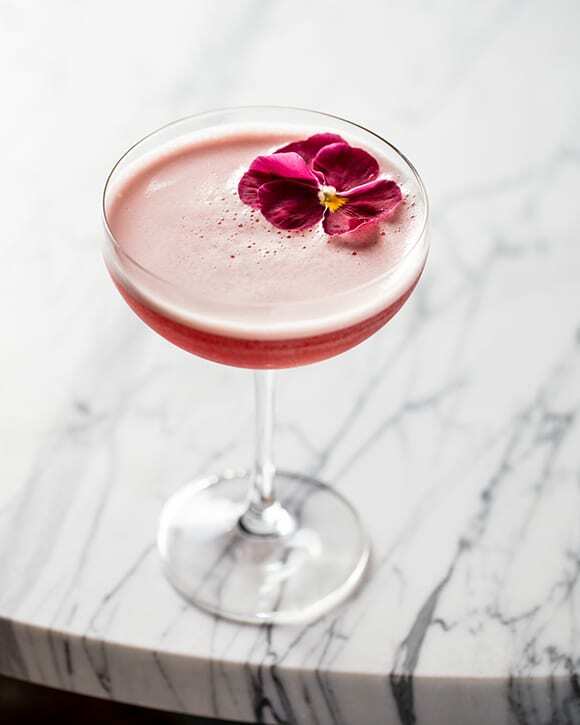 The first is a seasonal cocktail menu with signature house cocktails and a larger cocktail book featuring more than 150 classics. There’s also a multi-volume encyclopedia that details the history and uses of each category of spirit and its role in cocktail culture. “If our guests can become less intimidated when having a conversation about spirits, it will give bars and bartenders an opportunity to share fantastic products from smaller and lesser-known producers,” says Tran. Overall, Moravek thinks the firm achieved what Tran and team set out to create: a bar that places an emphasis on education. With a color scheme heavy on walnut, burgundy, brass, cream and charcoal, the mood is welcoming but also elegant and luxurious with elements like the three-tiered chandelier and glowing library wall keeping things vibrant as day turns to night. “We created a warm, inviting and casual atmosphere in which guests can lounge, work or just have a drink with friends,” Moravek says. This week’s booze news: Star Wars cocktails, a million dollar can collection and answering the question of why we wine.